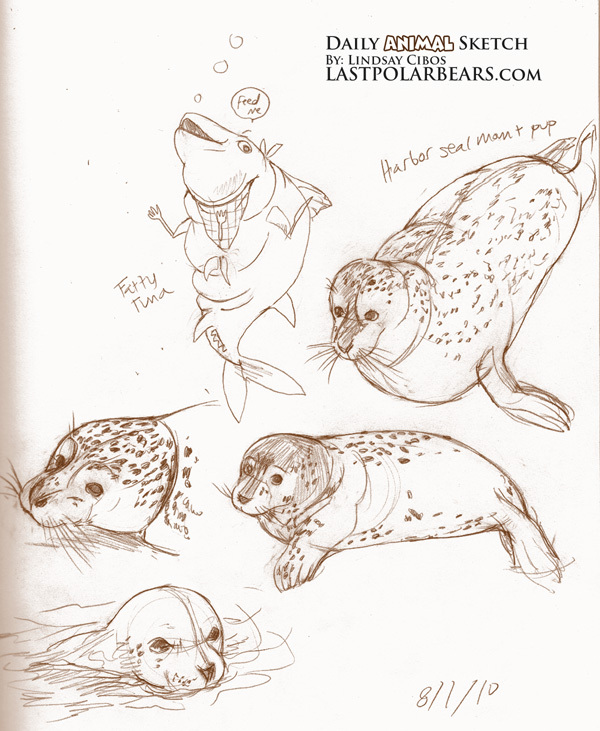 Studies of a Harbor Seal mom and pup. Plus a doodle of a “fatty” tuna. Source: Seals referenced from photos on Los Angeles Zoo.